If you are in the market to buy a home in Tallahassee (or anywhere else for that matter), this article should serve to show you why you should take the time to actually interview real estate agents to begin your home buying process. 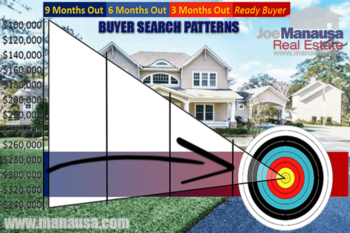 With more than 24 years of experience, I can promise you that this SELDOM occurs, as uninformed home buyers start the process by looking at houses online and then randomly establishing contact with agents based upon the homes that they want to go and see. While we love when people call us to see homes, but there really is a better way to go about it if you want to end up in the right home, at the right price. The best deals for homebuyers are the result of a well executed plan. This article was inspired because of a few reviews I recently read online. Several of our recent customers took the time to write about their experience working with two of our well-trained buyer's agents and to express their gratitude for the way we go about our business. I do not write this to brag about Jason Madsen, Lindsey Begue or Kevin Milligan, rather I do so to warn future buyers that they must prepare if they too want to be happy and successful when they buy a home. I refer to the survey conducted by Chase Bank last year. They found that 8 out of 10 homebuyers wish they had been better prepared when they bought a home. Basically, the Chase Bank survey shows that buyers did not have a competent real estate buyer's agent, and they did not follow a home buying plan that was designed to get them the best deal on the home and all the ancillary services that are required when you finance a home purchase. The solution to this is so easy ... just start your home purchase process by interviewing real estate agents until you find the one that can demonstrate a thorough process which was designed to save you money at every step along the way. To sum this all up, if you start the home buying process by FIRST hiring the right real estate buyer's agent, you will join the 20% of happy buyers that now live in the home of their dreams after paying a fair price and not over-spending on the ancillary services required to get the home. If you are starting the journey to buy a home, whether you have experience or not as a homebuyer, I encourage you to enroll in our FREE home buying tutorial. This is an overview of our home buying method that was designed to save you money and to ensure you end up in the right home. To enroll, just click the image of the book and we'll send you the information right away. 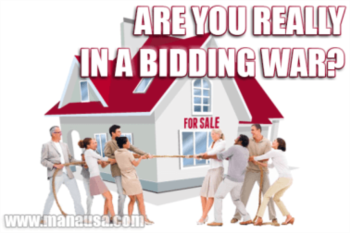 If you are ready to start the home buying process in Tallahassee, simply drop me a note and we'll have a well-trained, super competent real estate buyer's agent contact you right away.